Have you ever considered becoming an optometrist? Even more so, do you know the difference between an ophthalmologist and an optometrist? If you are interested in pursuing a career in the visual field there are many things to consider. The salary, hours, qualifications, and responsibilities will all play a role in determining whether or not optometry is the perfect career for you. Whether you are simply curious to find out what an optometrist’s career looks like, or if you are considering building a career in optometry yourself and you want to make an informed decision, you will be able to find everything there is to know about this topic down below. Read on to learn the difference between an optometrist and ophthalmologist, as well as the qualifications and responsibilities of optometry. 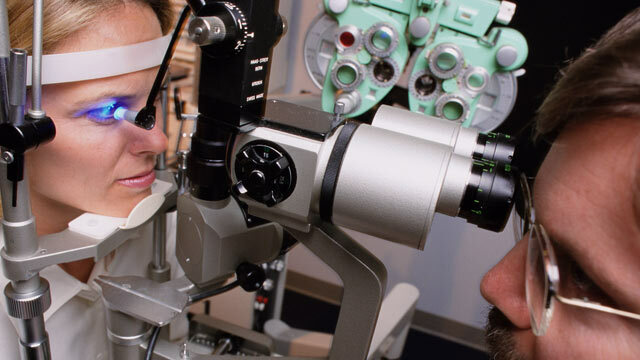 An optometrist is an eye doctor that is trained to examine the eyes and all parts of the visual system, in order to check for visual issues, diseases, injuries, or other disorders, and later treat them. They can also prescribe drugs, glasses or contact lenses if necessary. A career in optometry is focused on enhancing visual function and preventing blindness. However, as an optometrist, you won’t only be trained to notice diseases of the eyes, such as glaucoma or cataract, but also general diseases such as diabetes. This is beneficial because you will be able to advise your patients to go seek medical care from other specialists, according to the disease they have. 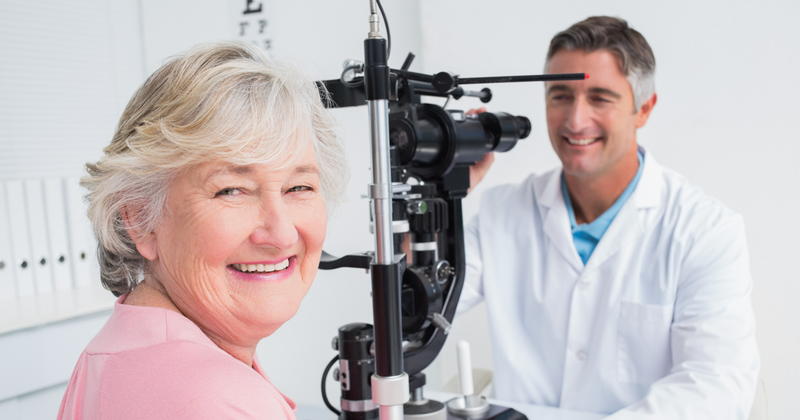 In this way, optometrists provide a deeper level of care than just diagnosing and treating vision issues and are an intricate part of a patient’s healthcare arsenal. 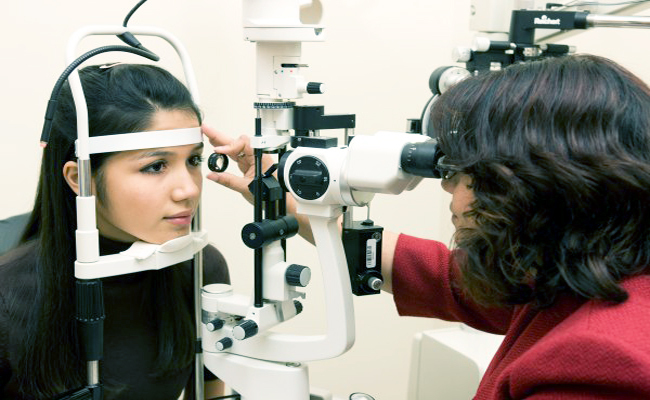 Many people are unsure of what the difference between an optometrist and an ophthalmologist is. Well, the main difference is that an ophthalmologist is a doctor that also performs eye surgeries, so he/she went to medical school and is a Doctor of Medicine or an M.D. The optometrist went to optometry school so he is considered a Doctor of Optometry, or an O.D. He cannot perform surgeries and is more focused on patient care. But we will discuss optometrists’ duties more in detail in what follows. Ophthalmologists have completed college and a minimum of 8 additional years of medical training, whereas becoming an optometrist requires only 3-4 years of college and an additional 4 years of optometry school. If you are interested in becoming an eye doctor but are looking for a lesser time commitment, optometry is the way to go. The types of optometrists are based on where they decide to work. They can work in single or group practices. They can work in a hospital or a clinic, where they would collaborate with ophthalmologists and help them with patient care, they can work in a university or laboratory doing research and looking for treatments for eye diseases, or they can choose to work in a large chain company and examine people, prescribe drugs, or eyeglasses and contact lenses. The variety of workplaces for optometrists allow you to personalize your career and focus on working in whichever environment that you feel most comfortable and able to thrive. Get the patients’ detailed history. Perform vision tests and examine patients’ eyes to look for signs of disease or other types of defects or abnormalities. Analyze the result of tests and diagnose diseases and sight problems. Recognize other types of diseases such as diabetes and refer the patients to other specialists. Prescribe drugs, glasses, or contact lenses. Advise patients when choosing the right type of glasses or contact lenses. Provide patients with vision therapy or low-vision rehabilitation. Work with other doctors on cases of patients that have chronic ophthalmic conditions. Provide patients with care before and after eye surgery performed by an ophthalmologist. Offer counsel to patients of how to maintain eye health and take care of contact lenses. According to whether or not the optometrist owns his own practice, he might also take care of more clerical issues such as managing and training staff, taking care of sales for glasses and contact lenses, administering and organizing the practice, keeping in touch with sales representatives, managing medication, and so on. An optometrist who owns his own practice is not only an optometrist but small business owners and must also handle all the tasks that come with that job. In what concerns the work environment, in 2012 a number of approximately 33,100 optometrists were working, 53% of them in offices of optometrists, 18% in offices of physicians, 11% were self-employed, and 2% worked in the educational sector. The usual amount of hours that you have to work every week is between 37 and 40. The normal schedule is between 9.00am and 5.30pm, but a lot of optometrists also work during the weekends or in the evening, according to the patients’ desires. Optometrists often extend the hours of their practice outside of standard business hours to accommodate busy patients. 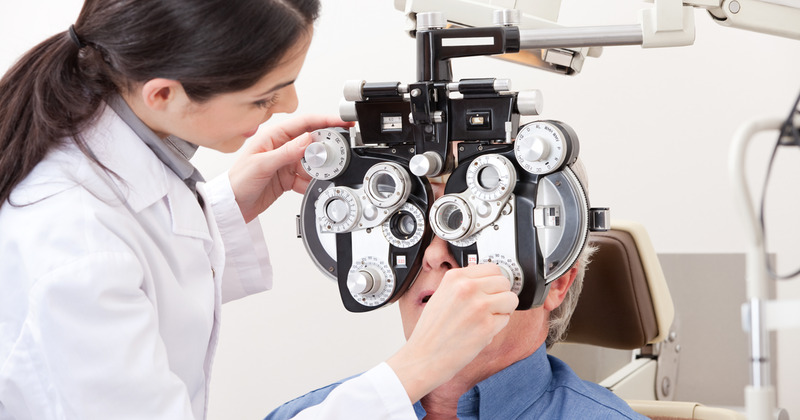 There are also places that hire part-time optometrists, in case that seems like a better option for you. Optometry offers a great deal of flexibility as far as hours and work environments. The salary of an optometrist depends a lot on the place of work, but the median annual wage in this field in 2014 was of $101,410. However, if you work in a private practice, the starting salary if you just got your qualification is around $32,693, depending on the employer. When you get more experience, the salary can go between $36,617 and $78,465. If you get a job in the National Health Service, your salary can be between $34,396 and $46,065, but these figures should only be taken as an approximate guide, as the salaries depend on many specific conditions including experience, education, and location. In order to be qualified optometrists and to be able to practice the job, you have to get a license, which requires a Doctor of Optometry degree. To get this type of degree, you have to complete a four-year accredited program at an optometry school. But before getting there, you must also have completed at least three years in a pre-optometric undergraduate study. If you want to get into an optometry school, you first have to pass the Optometry Admission Test, which contains question of science, physics, reading comprehension, and quantitative reasoning. Once you finish the degree and get your O.D., you can do one year of residency if you want to focus more on one particular area and get more training done. Such specific areas can be low vision care, family practice, pediatric or geriatric optometry, ocular disease, and so on. Moreover, if you desire more career opportunities, you can also take the American Board of Optometry exam. These options increase your chances of getting a job with a higher salary and provide you with more training prior to beginning your career. In order to practice, you have to get a license in the state where you want to work. For you to get the license, you have to pass an exam at the National Board of Examiners in Optometry, of both written and clinical tests. Once you become a licensed optometrist, you have to renew your license every 1-3 years, which will require you to have continuous education credits. Furthermore, if you want to conduct research in your field, you have to get a master’s degree or Ph.D. In summary, to begin your career as an optometrist you need to complete at least 3 years of undergraduate study, pass the Optometry Admission Test, complete an accredited 4 year program at an optometry school, complete an optional year of residency, get your license in your state of practice, and keep your license current by renewing it every few years and pursuing continuous education credits. What Are the Skills You Have to Perfect? Interpersonal skills and the ability to calm down patients. The ability to put scientific methods into practice. The ability to use complex equipment. The desire to improve constantly. The medical skills that you learn in school are necessary tools to practice optometry, but the foundation of a good optometrist whos patients come back, again and again, lies in the interpersonal skills that you exhibit and your ability to make your patients comfortable and satisfied with your treatment. The patient-doctor relationship is very important. Optometrist employment rates are raising, which is excellent news for people who are contemplating a career in optometry. Because of the aging rate of the population, and because most eye problems occur in people of older age, the world needs more optometrists. In addition to that, the growth rate of people suffering from diabetic retinopathy, which may lead to vision loss, makes optometrists even more needed to provide care and treatment. And so does the rising number of individuals that have eye care insurance and need optometrists to rely on. And even with the amount of laser eye surgeries that are performed, solving eye conditions almost instantly, optometrists are still indispensable since they take care of the patients before and after the surgery. Overall, the job prospects for optometrists are quite good, especially if you decide to take some extra residency programs or certifications to attest additional job experience. Here are some of the career choices that an optometrist has: start a private practice, work in hospitals and health maintenance organizations, retail optical stores, military and public health service, academic institutions, specialty vision care, or consulting. What to Expect from the Job? Now that you found out everything you needed to know how to have a career in optometry, you are also probably interested in what to expect once you start working in this field. For instance, the stress level is a factor that influences many people when it comes to choosing a career. In the case of optometry, the work environment, and the complexity of the responsibilities you have to make the stress level average. This also depends on the type of job you have. It is more likely to have a lower stress level if you own a private practice and you are your own boss. And speaking of the possibility of a private practice, this shows the level of mobility of the job, which is quite high. The opportunities for advancement and the salary are also above average, which is yet another reason to consider optometry as a career. All in all, we would say this job can be rewarding and balanced. If you are a person who likes to be around other people and provide them with care and advice, and you also have a passion for science and medicine, optometry might be the right career path for you. It pays well, it is flexible, and you can constantly improve yourself in one way or another. Plus, you would be helping and treating people, what better way to spend your time at work? Studies show that people in careers where helping others is a major part of their job are among the most satisfied. Optometrists are needed all over the country, and the world, so there is no shortage of jobs available. Now is a perfect time to begin your journey to a new career that is rewarding, stimulating, flexible, and well-paying: what are you waiting for?